HELPING RESIDENTS OF NEW YORK, LONG ISLAND AND NEW JERSEY RECLAIM THEIR LIVES FROM ADDICTION! The entire Greater New York area, including Long Island, Queens, New Jersey and Staten Island, has fallen victim to the devastating drug and alcohol addiction epidemic. Addiction does not discriminate, with people of all ages, genders, races, religions, and socioeconomic backgrounds being caught in the crossfire of addiction. The disease of addiction is growing exponentially among New York residents. In an effort to combat the drug epidemic and help those who suffer, we have created Long Island Interventions. Our initiative provides a life-changing opportunity for those struggling with substance abuse to find quality addiction treatment in Long Island and out-of-state. We believe in drug rehabs on Long Island that use treatment methods that are evidence based and solution-focused. Our addiction recovery advocates and highly qualified rehabilitation specialists have decades of combined experience to help you or your loved ones achieve long-term sobriety. Many people who develop a substance use disorder find it extremely challenging to discontinue drug or alcohol use without the help of professionals at a quality addiction rehab facility. 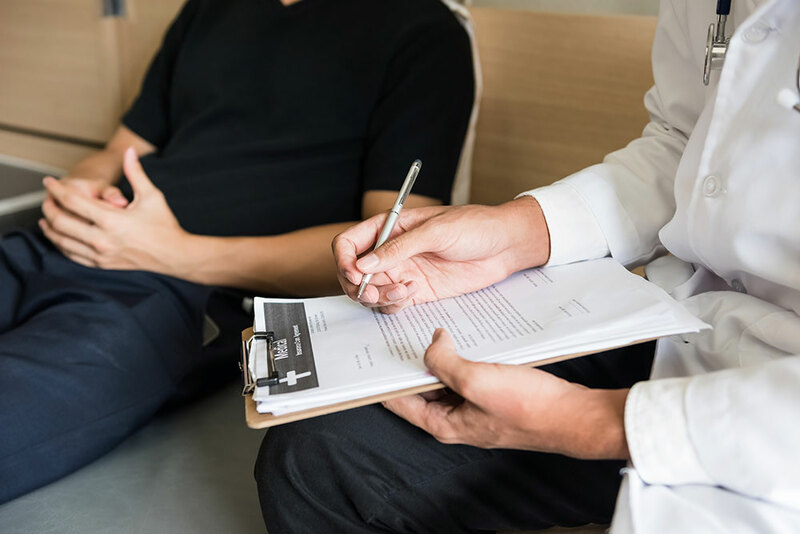 If you have contemplated seeking addiction treatment for yourself or a loved one, you will need to determine which type of treatment will be the best fit for your specific needs. Let the professionals at Long Island Interventions help you begin the recovery process and create an individualized treatment plan that we tailored to fit your unique needs. Contact us today for a free confidential assessment and begin your journey to lifelong recovery. Read More About the Addiction Treatment Services Available on Long Island and Throughout the State of New York. Drug and alcohol detox is the first stage of addiction treatment. Detoxification is a method used by people with a substance use disorder to remove the drug of choice from the user’s body in order to get clean. During a drug or alcohol detox, the buildup of the drug’s toxins is slowly filtered out of the body, resulting in unpleasant withdrawal symptoms. Oftentimes, patients must complete the duration of his or her detox program before moving on to the next phase of treatment. Due to the unpleasant physical withdrawal symptoms normally seen in a drug and alcohol detox, the recovery process will begin with a detoxification program to eliminate any distractions down the road in rehabilitation. Once the withdrawal symptoms have passed and detox is complete, the patient can then transition into an inpatient and/or outpatient program, where they can then focus on healing their mental and emotional health. A physical drug dependence strengthens the cycle of addiction and the hold it has over an individual. The dependent person then needs to continue taking the substance regularly throughout each day to avoid withdrawal. The objective of a clinical detoxification programs is to begin healing a person’s physical state so that he or she can move forward with working on their psychological health in rehab for long-term recovery from drug addiction or alcoholism. Many detox programs for Long Island, Queens, and Staten Island residents achieve this first through stabilization, followed by detoxification. The detoxification process is a different experience for everyone. Attempting alcohol detox differs greatly from heroin, and must be treated as such. A clinically supervised detox for Long Island residents can minimize withdrawal symptoms to make the process more comfortable, as well as maximize success rates. If you or someone you love is looking to start the process of recovery, it is important to do your research and become aware of what to expect in detox. Below we have provided a step-by-step guide on the most commonly abused drugs and what to anticipate when entering detox. Finding the right detox placement for Long Island, Queens, and Staten Island residents can feel overwhelming, but our treatment specialists work diligently to simplify this process for you. By contacting us, we can properly evaluate your unique history with substance dependence and find the most suitable placement in a detox program that is appropriate for your situation. Our mission is to deliver personalized treatment plans that are tailored to fit the unique needs of each individual patient. By doing so, we ensure that you are put on the path to success and long-term recovery. With a network of trusted resources, we will find you the best alcohol and drug detox centers on Long Island and out-of-state. Our trained addiction specialists are available around the clock to take your call. If you or someone you love is struggle with a substance use disorder and needs help, do not hesitate to contact us. We will provide a comprehensive assessment at no cost to you. Whether you are looking for a qualified drug detoxification program for yourself or a loved one, we are able to direct you to a network of valuable detox programs on Long Island and out-of-state. The detox programs we work with will have you feeling at ease and comfortable during this trying time. When necessary, we also provide medication-assisted detoxification to minimize any discomfort of physical withdrawal symptoms. With top of the line clinicians and clinical professionals who monitoring your progress, you can rest assured that you are in good hands. We service residents of the Long Island, Queens, and Staten Island area. According to the latest research (NIDA) on addiction and recovery, as well as from the knowledge and experience we have gained while treating substance use disorders, residential inpatient treatment offers the best chance at achieving long-term recovery and the highest relapse prevention rates. An inpatient rehab program takes a comprehensive approach to addiction treatment using a full-continuum of care. Inpatient programs are highly structured and personalized to meet the individual needs of each client. This form of treatment offers around-the-clock care and supervision and works to heal a client’s physical and emotional self through intensive counseling and therapy. An inpatient rehab program can last anywhere from 28 to 90 days, with ongoing care often utilized by many clients following this level of treatment. While in a residential program, clients are able to focus entirely on his or her recovery for the duration of treatment. With around the clock support, a multifaceted treatment approach, and guidance from licensed professionals, residential inpatient treatment offers the greatest chance of success for those seeking long-term recovery. If you are looking for an inpatient rehab program to overcome your battle with substance abuse or addiction, then you have come to the right place. Here at Long Island Interventions, we offer a wide range of addiction treatment and recovery resources to help you safely and effectively regain control of your life. We can refer rehab centers on Long Island and out-of-state that offer the highest commitment to recovery. Drug Rehabs for Long Island, Queens, Staten Island Residents If you or a loved one suffers from the disease of drug addiction or alcoholism, do not wait another day to reach out for help. With specialized residential treatment and a strong aftercare program, you can be successful in obtaining lasting sobriety. We make the process of finding inpatient rehab placement for Long Island residents simple and easy, so that you can focus on starting your recovery journey. We refer people to the leading providers of inpatient drug and alcohol rehabs on Long Island, Queens, Staten Island, as well as throughout the country. When you are ready to start your road to recovery, do not hesitate to pick up the phone and call us. Our addiction treatment specialists can help guide you through the process of finding treatment so that you can begin your new life. An addiction intervention, whether it be for drug or alcohol dependence, is a process that encourages a loved one struggling with addiction to seek substance abuse treatment. Although it can be carried out alone by family and friends, it is highly recommended that the intervention be directed by a certified addiction interventionist. These professionals specialize in mediating drug and alcohol intervention, and their goal is to help the addicted individual recognize the severity of his or her substance abuse problem and then agree to seek professional treatment. An addiction intervention is an educational process, usually organized my family, loved ones and friends and conducted face-to-face with the addicted individual. long island interventions Through our experience at Long Island Interventions, we know that people dependent on drugs or alcohol are often in denial about their substance use disorder and are initially opposed to entering an outpatient or inpatient treatment program. When families enlist the help of an interventionist, the addicted individual will be more inclined to enter treatment, thus saving his or her life. If you are searching for addiction interventions on Long Island, then you are in the right place. A large part of any successful addiction intervention plan focuses on providing information to the family and educating them about their loved one’s substance abuse problem. It is an opportunity for family members and close friends to come together under the leadership of a certified addiction interventionist to support their addicted loved one during this trying time. It is important to understand that an intervention is not about releasing anger, frustration, or putting your loved one down. There is zero tolerance for that during this process, as it can only harm the outcome of the meeting. The point of the drug and alcohol intervention is to help your loved one recognize the damage their substance abuse has caused to themselves and those around them, and help them agree to enter a rehab program immediately. It is highly recommended that the families of those who struggle with substance abuse consult with an addiction specialist for information and guidance on the best course of action. This will likely involve setting up an in-depth intervention plan first, followed by further discussion about the different treatment options available, such as outpatient therapy. Here at Long Island Interventions, we can help you organize an effective addiction intervention that will put your loved one on the road to long-term recovery. Our addiction treatment specialists are highly trained and experience. We take into consideration the client’s unique circumstances surrounding their substance abuse and their individualized needs for treatment. We suggest the most effective approach and provide guidance throughout the entire process of addiction treatment. We also help tailor a personalized follow-up plan to ensure your loved one is equipped with aftercare support following treatment. Finding the right interventionist on Long Island, Queens, or Staten Island is not easy if you don’t know where to look. Planning an addiction intervention is a big task that should be researched thoroughly and discussed with addiction professionals. When led by a qualified addiction specialist, an intervention followed by comprehensive substance abuse treatment is the most effective approach to achieving lifelong recovery. Though valuable in most circumstances, there are some cases where addiction intervention services are not necessary. We can assess the situation during a phone interview and deem whether an intervention is appropriate. Contact our addiction recovery specialists for a free consultation to find out the best course of action for you and your loved one. For many inpatient addiction treatment facilities, process group therapy is viewed as the cornerstone of effective psychotherapy. The success of process group therapy comes from the unique opportunity to receive multiple perspectives, support, encouragement, and feedback from other peer residents in a safe and confidential environment. Patients under the care of a drug treatment center can share amongst each other the problems they have faced and their obstacles in recovery to come up with proactive solutions together. 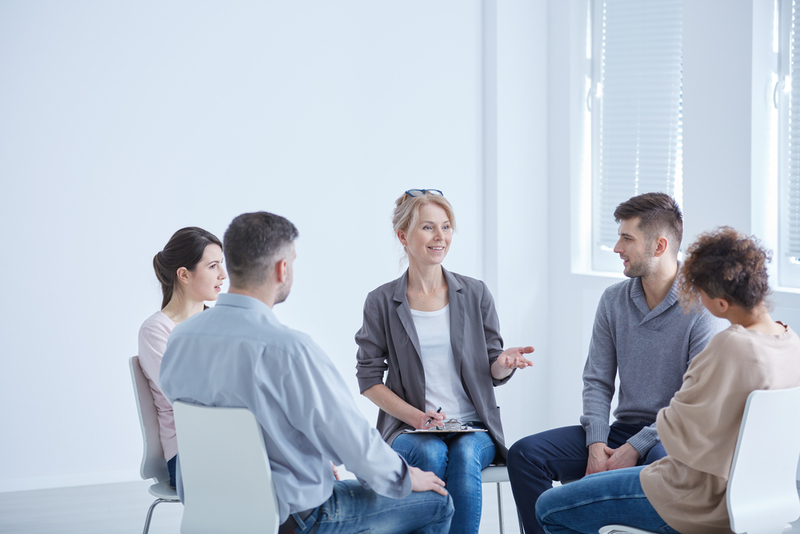 Process group therapy is directed by a trained group facilitator or licensed therapist who guides the course of the program to ensure that patients take the most away from each session. There are several reputable drug and alcohol treatment centers that offer process group therapy for Long Island, Queens, and Staten Island residents. One of the notable benefits of process group therapy is the ability to learn how to interact with others without the use of drugs or alcohol. Many people with a substance use disorder struggle with underlying mental health issues, such as social anxiety, phobias, stress, and fear. Unresolved mental and/or emotional problems are often what causes an addicted person to abuse drugs or alcohol to begin with. When surrounded by people who are fighting a similar battle, individuals in recovery are better able to relate to others. Process group therapy also provides participants with a much-needed support network. These therapeutic benefits are important for long-term growth and recovery. While individual addiction counseling concentrates on a patient’s own self and unique circumstance, process group therapy provides different perspectives, diverse opinions, and positive reinforcement from others. Taking part in group therapy sessions allows members to learn from each other and prepares them for life after treatment. The interactions between members of a group therapy program can lead to important revelations on the road to recovery. Regular participation in a process group helps patients feel prepared and comfortable interacting with family and loved ones in a positive, healthy manner. This allows for a smooth transition when reentering the real world and everyday life after inpatient addiction treatment. It has also shown to greatly reduce rates of relapse. Process Group Therapy for Long Island, Queens, Staten Island Residents Long Island Interventions is a trusted resource for finding quality addiction treatment. We have cultivated strong relationships with top-rated treatment programs that provide process group therapy for Long Island, Queens, and Staten Island residents. If you are seeking drug and alcohol addiction treatment services for yourself or someone you love, then you have come to the right place. We can offer you our best resources and help with placement in an evidence-based, solution-focused addiction treatment program for residents of the Greater New York area. Whether you are looking for help from an detox program, we can find the best facility for your individualized needs. Are you or someone you love struggling with alcoholism or drug addiction? With our trusted and experienced team of clinical professionals and state-of-the-art rehab facility, we can help you get the quality care you need and deserve! For more information, call (516) 986-1295 or fill out our contact form one of our admissions coordinators will get in touch with you directly!